Buy one Get one Free Whitening!!!! Bring your sweetheart to see us in February to brighten your smile! 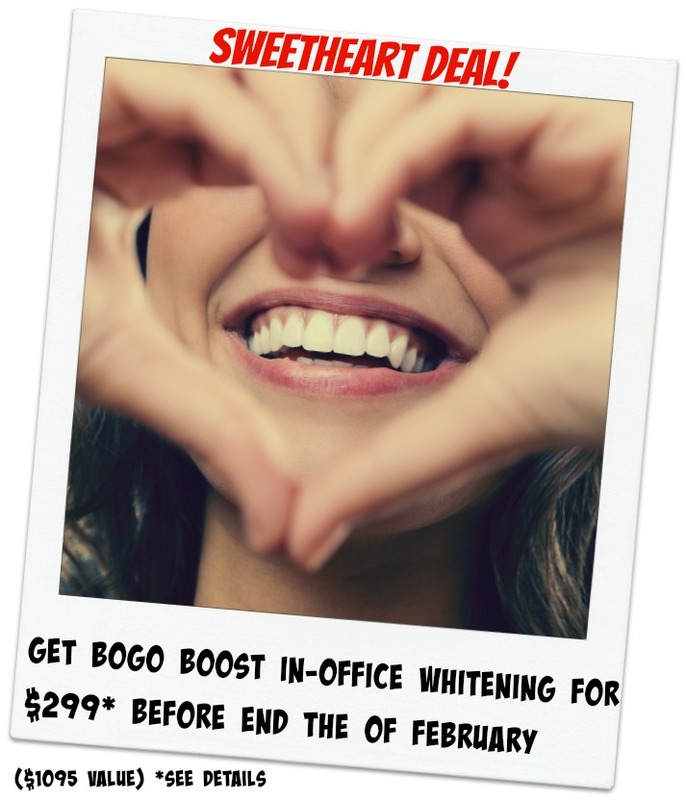 $299 In office Boost whitening with Custom take home trays for you both! 1 price, 2 smiles! Contact us! *Must have had an exam/x-rays in our office within 12 months. No cash value. Must be 18 years old. Not all patients are candidates for whitening. Results may vary.